The General Plan Update is an important process that will establish the community’s expectations for land use and growth and the degree to which change is desired or discouraged. Developers and real estate brokers working in Union City and property owners looking to invest in or sell property should participate in the General Plan Update to gain an understanding of challenges and opportunities related to land use and economic development within the city, and to weigh-in on planned uses for property and the policies standards for future development. Ultimately, the City’s other regulatory documents and processes, such as specific plans, area plans, form-based codes, the Zoning Ordinance, and design guidelines are required to be consistent with the General Plan. The General Plan Update is about balancing where we live and work, not choosing between housing and jobs. 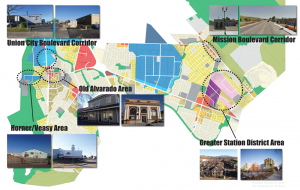 The mix of residential and commercial or industrial uses within Union City is one of the key issues the City will be addressing through the General Plan Update. 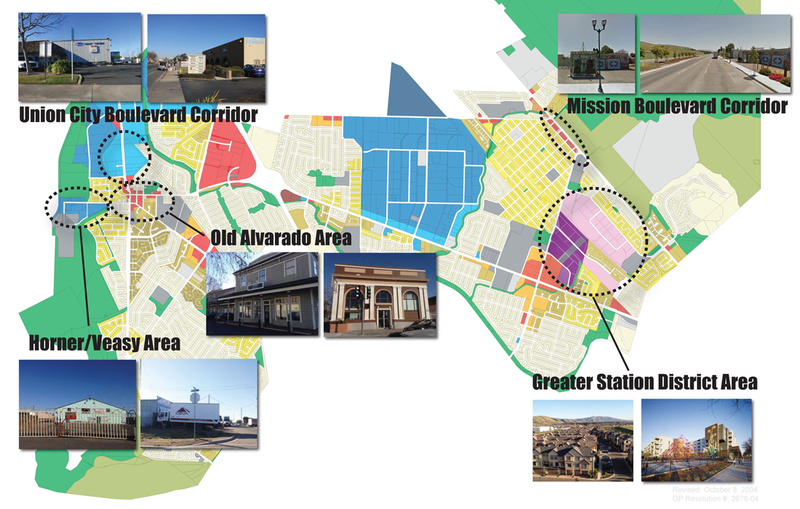 The General Plan Update will also engage community members, the GPAC, the Planning Commission, and City Council to develop, evaluate, and compare land use alternatives with an emphasis on five focus areas (e.g., Old Alvarado Area, Horner/Veasy Area, Mission Boulevard Corridor, and the Greater Station District Area). Ultimately, a preferred land use alternative selected by the City Council will be used as the basis for updating the goals, policies, standards, and implementation programs contained in the General Plan. Assess the impacts and feasibility of land use alternatives relative to a broad array of factors including: market conditions, City objectives, financial feasibility, fiscal and economic impacts, capacity for funding community benefits, and maintaining positive revenue flow to the City to support ongoing services, programs, and maintenance. Establish a future land use plan that identifies the type, location, and scale of new development and the policies the City will use to evaluate future development applications. Provide predictability and fairness for residents, elected officials, and the real estate and development community by clearly articulating the community’s vision and the City’s expectations for future development.